Are You Following the Right Exercise Regimen? 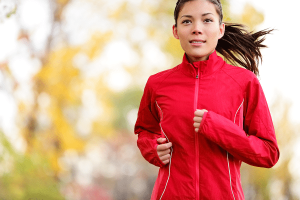 Health and wellness: Are you following the right exercise regimen? You know that getting regular exercise is essential to your health and can help reduce your risk of a range of chronic diseases including heart disease and diabetes. Some studies have also found an association between exercise and a decreased risk of certain cancers and Alzheimer’s disease. Is your exercise routine fine-tuned to promote better health and lower your disease risk? We talked with Lew Lyon, PhD, Vice President of the MedStar Sports Medicine Program, which provides medical care to the Super Bowl Champion Baltimore Ravens football team, to find out what you should consider when building an exercise strategy. 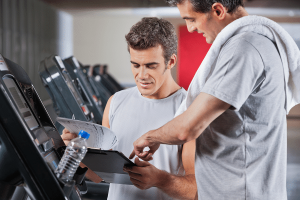 PinnacleCare (PC): What is the most important thing to know when developing an exercise plan. Dr. Lyon (LL): Your metabolism slows down approximately 10 percent each decade, which is why even people who are regular exercisers may gain weight as they get older. To help manage your weight, you need to focus on enhancing your metabolism. The best way to do that is by scheduling regular aerobic exercise in your weekly routine. When you take part in aerobic exercise a minimum of three days a week, you help to increase your body’s ability to burn calories, also referred to as EPOC (exercise post-oxygen consumption). This is what some people in the field refer to as exercise after-burn. What this means is that your body continues to burn calories after you’ve completed your exercise routine, helping to extend your enhanced metabolism. Unfortunately, this enhanced state of metabolism is of short duration (24-36 hours), so you would need to insure that your aerobic exercise activity is routinely scheduled in order to obtain the maximal effect of EPOC. Another thing to bear in mind is a physiological concept called the “regression rate.” Simply put, losing the benefits you’ve gained from a regular program of aerobic exercise can happen twice as fast as it took you to obtain it (called the “progression rate”), so try not to go too long before you’re back out there enjoying the benefits of walking, jogging, biking, swimming, skating, or dancing, whatever is your fancy. PC: What types of exercise provide a good aerobic workout? LL: Any exercise that’s rhythmic and repetitive can be good aerobic activity. There are a wide range of exercises that fall into that category, so it shouldn’t be too difficult to find a few activities that you enjoy. For example, try walking, jogging, skating, biking, swimming, dancing, or using aerobic exercise equipment such as an elliptical, stair climber, treadmill or cross-country skiing machine. Most importantly, find aerobic activities that you enjoy, because if you don’t like what you’re doing, you’re more likely to skip it. If you are just getting started and you haven’t been active for a while, make sure your physician has given you clearance to start an exercise program. Once approved, start by doing 3 to 4 minutes of aerobic activity a day and add an additional minute or two per session, until you are capable of exercising (non-stop) for 20-30 minutes per session. The most common recommendation is to work up to about 90 minutes of vigorous aerobic activity a week or 150 minutes of moderate aerobic activity. Whatever you choose, shoot for a goal 30 minutes of non-stop physical activity a day. Remember, you can always substitute other activities around the house, such as gardening, washing the car, or pushing the lawnmower. The most important thing to keep in mind is that the activity needs to elevate your heart rate and breathing intensity for at least 20-30 minutes. PC: Beyond aerobic exercise, what other types of activity should you include? LL: Weight training can be an important component of an exercise program for all ages because it helps to enhance the resiliency of the muscles, making them more resistant to injury. Doing some flexibility training exercises after any form of exercise, when the muscles are warm, also enhances the muscles’ ability to resist pulls and strains. Therefore, your overall goal for any sound exercise program is to increase your muscular strength and flexibility and improve your cardiovascular (aerobic) efficiency. PC: What’s the most difficult part of an exercise regimen? LL: The mental or psychological component of exercise can be, at times, the most uplifting part of the experience. Ironically, it can also become the most frustrating. Starting any exercise program (or session) can play havoc with your resolve. It’s often called “paralysis through analysis.” I’m too tired. I don’t have enough time. It’s too hot or too cold. We all can get trapped in the occasional exercise paralysis. Fortunately, as you progress in your exercise routine (usually 10-15 minutes later) exercise starts to invigorate the senses. It reduces the fatigue and the aches and pains of the day. One good exercise strategy is to try a form of dissociation. Talk with an exercise buddy, listen to music, or enjoy a digital recording of a book. This helps to distract your thought processing from the negative (dysfunctional) to the positive (functional). Thirty minutes later, you’ll be thanking yourself for persevering and you’ll feel significantly better mentally and physically.